Literacy is essential to successful learning. 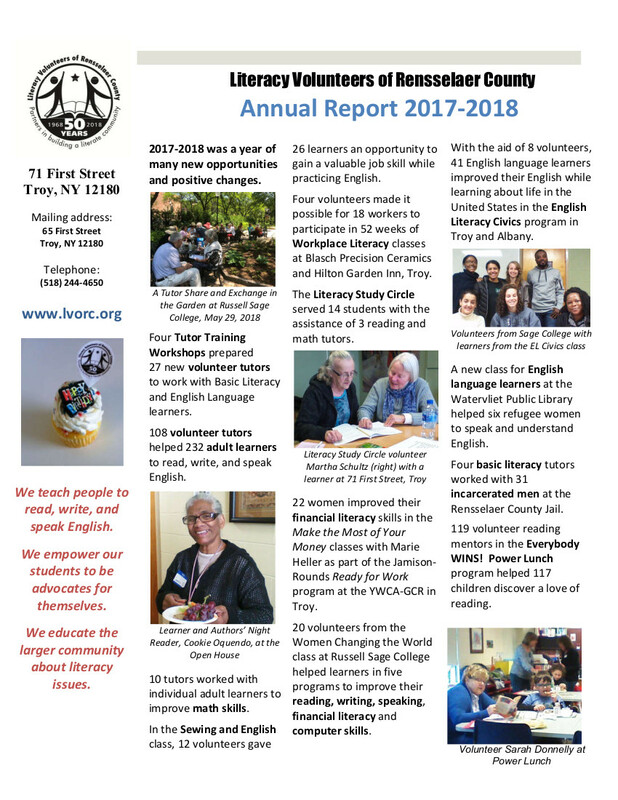 Literacy Volunteers of Rensselaer County’s Everybody WINS! Power Lunch program strives to nurture in children a love of reading. As caring adult role models, Everybody Wins! reading mentors make a positive and lasting difference in children’s lives. The Everybody WINS! 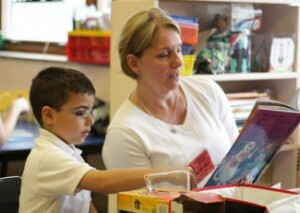 program pairs elementary school children with volunteer reading mentors from area businesses and the local community. Mentors are matched one-to-one with students and spend one lunch break per week at a nearby school reading with their student partners. Our corporate partners have confirmed that participation in Everybody WINS! boosts employee morale. It offers a simple yet very meaningful way for businesses to get involved in their community. Monetary donations from participating companies ($300 – $1,000) help support mentor orientation sessions, handbooks, and a part-time site coordinator at each school, ensuring that volunteers and children have a positive experience. To read a Times Union article about the program, click here. Questions? Call Judith Smith at 274-8526 or email LitVolDirector@aol.com today. For training dates, see the Events Calendar.